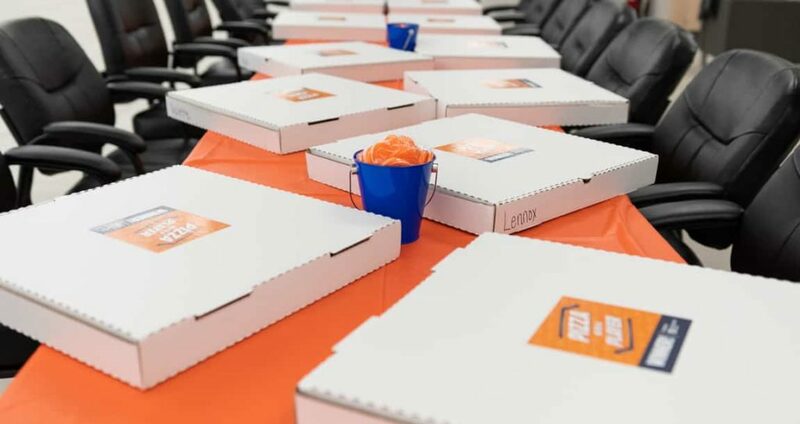 Just last week, we invited the winning team of our Pizza with a Player contest to our brand-new Used Car Supercenter for, what can be considered, the best pizza party in history. Why’s that? 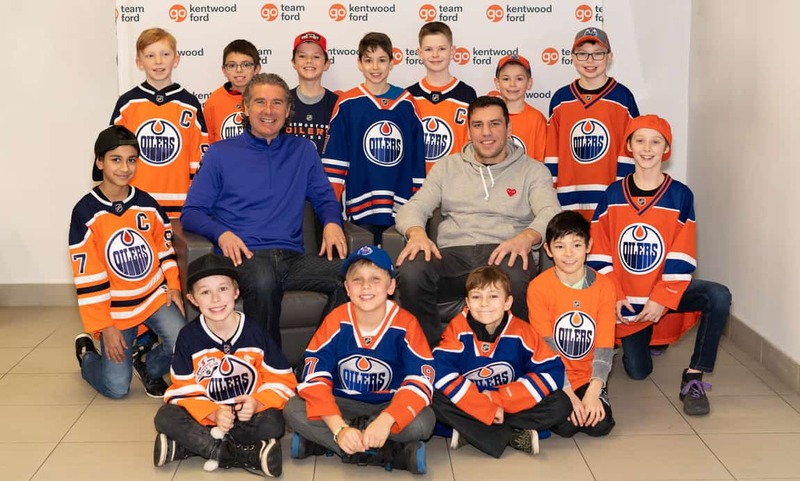 Because not only is the pizza free, but our winning team got to spend a few hours with none other than Edmonton Oilers’ own Milan Lucic and Sportsnet’s Gene Principe! Check out all the stories, pictures, and pizza below! Photos by © Melissa Penney. All rights reserved. Throughout the last week of November, we asked our Facebook followers to nominate their child’s hockey team with a photo or video in the comments section explaining why their team deserves to win the contest. 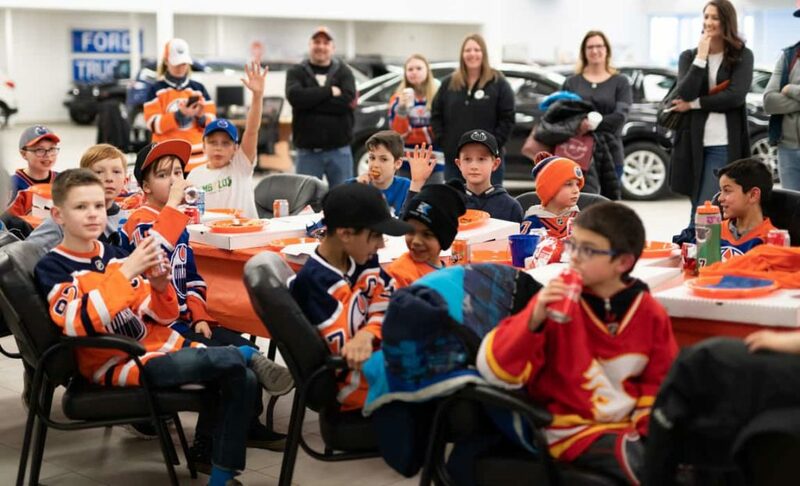 Sure enough, the Atom Millwoods Bruins were the lucky winners for our Pizza with a Player contest, garnering almost 700 votes on our Facebook page (thanks to Andrea Berard for the submission!). While it may seem like all talk, the Millwoods Bruins have the work ethic to back it up. On the same Sunday as the pizza party, the Millwoods Bruins still played a game in the morning, and even won 5-0! Afterwards, they rushed over to our Used Car Supercenter to enjoy the well-earned rewards of their very hard work. It was a pizza party to remember for the ages. 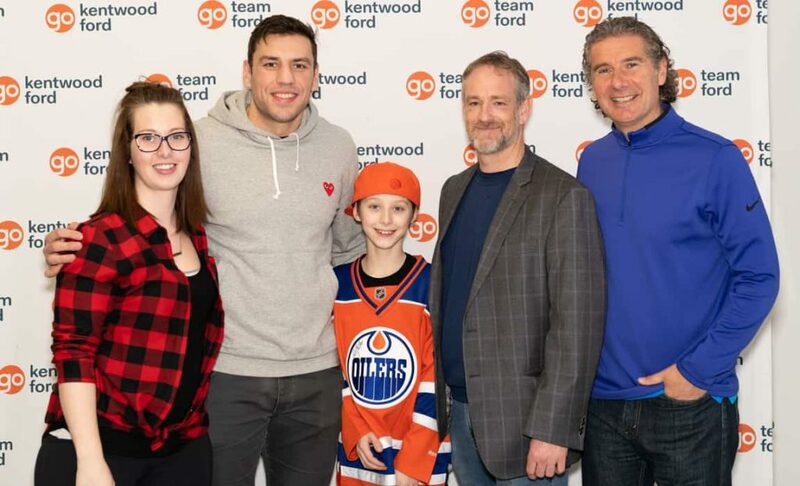 The Millwoods Bruins were immediately greeted by Lucic himself, much to everyone’s excitement. Additionally, they were joined by the Sportsnet OG (and Prince of Puns himself) Gene Principe, as well as our fearless leader, Ashley Roy. 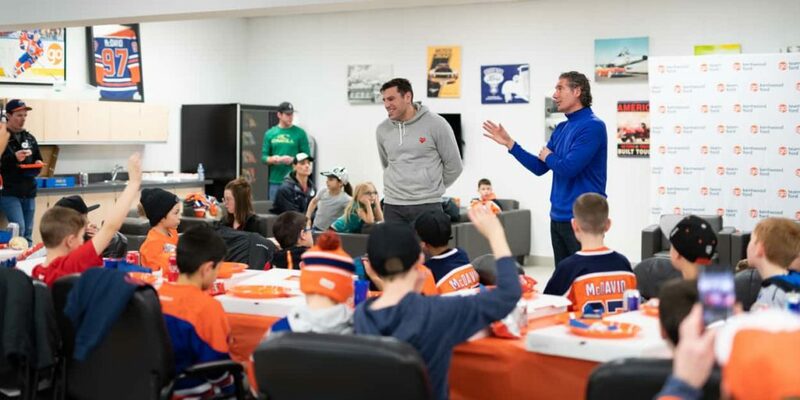 After some one-on-one photos, everyone got to enjoy some Oilers themed treats, t-shirts, and, of course, pizza. What other sports did you play/or like growing up? Played almost all sports, with the exception of soccer. Oddly enough, my dad WAS a soccer player, but my brother and I just never picked it up. How do you balance being a hockey player and a dad? Well, when I’m at the rink, I focus on my job: being a good teammate, being positive in the dressing room. When I go home, I am just like every other DAD here. I focus on my kids, help out wherever I can, run them here and there. How many penalty minutes do you have? I just hit 1000 career penalty minutes. A bit of a milestone for me! Thanks to all of our Facebook followers for making Pizza with a Player at Kentwood Ford such a hit this year! Special thanks go out to our friends at Boutique Collective helping us put the event together and to our amazing photographer Melissa Penney for taking these great shots!